The unkempt grass stirs restlessly in the background, as the multi-directional winds produce snaky noise in the after-math of their collision with tree-leaves. Sometimes, a careless mouse will be seen to loiter around, playing into the path of a hungry snake. If the mouse gets eaten; nobody cares, it was not known to the Blantyre City Assembly (BCA). If the snake suffers at the murderous heel of man; nobody cares, it trespassed on BCA’s land. In an ideal situation, the place where mice now come and go, and snakes play attack-and-hide under dry, brown leaves, was not supposed to degenerate into this state of nobody’s land because, when lawlessness dominates where control was supposed to be the norm, it becomes nothing short of systematic failure. This is the state on Njamba Freedom Park (NFP). On paper, the park belongs to BCA but, in effect, belongs to the trees, the ants, mice, snakes, birds, and rabbits. These natural features literally take care of NFP- fertilizing it with their dung, and, in the absence of piped water from BCA and water drops from the skies, supporting organic life with their waste waters. NFP, home to a wide range of animals and supposed recreation centre for Blantyre city residents, is in a neglected form of sorts, and serves as a reminder that, for all BCA best efforts, the place remains underdeveloped. Year in, year out, BCA’s Department of Parks and Wildlife has been singing one song: the song of promise to, among other things, improve the environment at the Park and make it as close to nature as it could be. It is a song whose chorus remains the May 1989 visit by head of the worldwide Catholic Church, Pope John Paul 11. Hopes were raised, then, that Njamba- being the choice place where upon the Catholic Church’s head trod- could become a place of world tourism attraction. Councilor Luke Jumbe, one of the famous Blantyre city fathers in the 1990s, had grand plans for the park, just like the people who succeeded him. But nothing really materializes for NFP. Sand miners go about their business, drawing sand from the small river that cuts through the park- yet, both sand and river they do not own. They make no attempt to pay anything on the assumption that- looking at the neglect manifested in the withering grass, brown-leafed trees, and the human mongering- Njamba is nobody’s land. And, quiet recently, others have gotten into this habit of parking vehicles in the park’s grounds, trampling upon the unwatered grass left to fend for itself by the City fathers who only care for their children, the people in the city, and not the natural resources that literally bring fresh air to the land. However, BCA chief executive officer, Ted Nandolo, says time is ripe in reverse the deteriorating standards of NFP. “We have big plans for all aspects of city development. We can develop our parks into revenue-generating sites. Our development budget for 2011/2012, amounting to K473, 855, 309, has provisions for infrastructure, environmental, maintenance and education programmes,” Nandolo says. If not for the sake of Blantyre residents, at least the city authorities will do it for their own good. In November last year, BCA established the Directorate of Commerce, Trade and Industry headed by Dennis Chinseu. The Directorate is not a cash-cow because, in the first place, it is not a cow per se. But Blantyre city has facilities whose revenue-generating capacities resemble the productive capacities of a cow. “We are looking at things like city rates, recreation fees, and city parking fees as some of the ways of generating revenue,” Chinseu, who hastens that parks fall under this category, says. Chinseu says this is the reason BCA wants to exploit all possible avenues of revenue, including such activities as business licencing, collection of property rates and recreation fees in all of the assembly’s parks. “With this, we hope to be able to supplement the funds we get from property rates. 90 percent of the funds we generate come from property rates,’ Chinseu said. As the City fathers reposition themselves to ‘fish’ from more ponds, apart from the deep waters of property rates, Blantyre residents can look west and find solace. There is a place, some 9 km west of Blantyre Central Business District, called Michiru Hill. The hill plays host to Michiru Conservation Park. The park is home to a variety of wildlife, making it a tourist destination of magnanimous experiences and never-fading memories. Just that, as Senior Park and Wildlife Assistant Gracious Changani would have it, not many people seem to be aware of this place. But, each passing day, Changani looks at the Branchystegia woodland, reptiles, birds, and a variety of mammals. Common among the mammals are hyenas, who are so fortunate to have a cave named after them. The ‘Hyena Caves, made of granite, are believed to have formed some 50 million years ago. Studies suggest that, 50 million years ago, Michiru Conservation Park was not a park; it was a valley. Somehow, the stones fell from the mountains, and filled the valley below. In the process, new homes were formed and found, and new animals became proud owners of these ‘homes’. At Michiru, the homes can be anything: caves, trees, stones, running water- anything that can sustain life. Today, Michiru Conservation Park is a place so naturally demarcated (without human intervention) that pythons craw the days away in the upper part of the park, rock hyraxes have made the middle part nothing but their abode, while the lower layers, so carefully punctuated by caves, are the domain of the nocturnal hyenas. “Michiru Conservation Park is a very beautiful place. 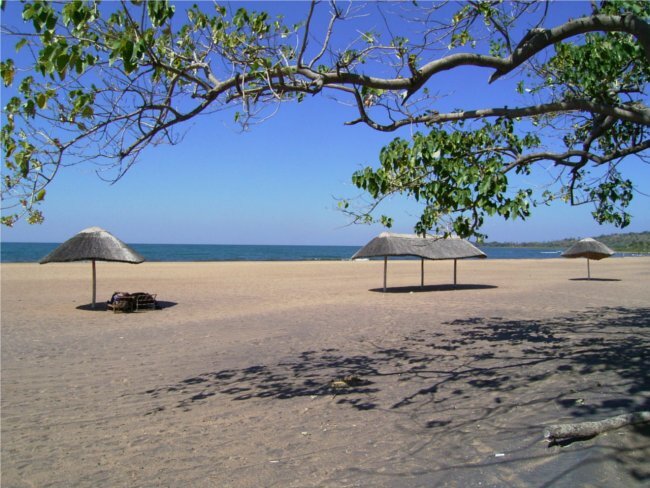 Malawians should visit this place and appreciate the beauty,” Changani says. But, in a way, Michiru also suffers from human ills. 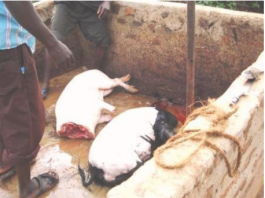 But, unlike the neglect that has characterized life at Njamba, its greatest challenge is poaching. The bad thing about poaching is that it is against good intentions. After all, all parks and conservation sites are like legislation: founded upon the principle of mutual love, care, and concession. Which leaves one wondering: Why can’t Malawians appreciate this common sense, and leave nature to be what it was meant to be? How can people in authority fail to do their part, and expect nature to flourish? After all, there is a thin line between poaching and neglect; they both border on neglect. 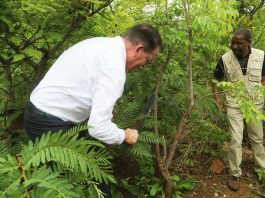 But, even against people and authorities’ best efforts, Malawi continues to reel under a myriad of challenges in the quest to take care of its botanic resources, and improve on the variety of the botanic endowments it has. Take, for instance, the case of equipment. 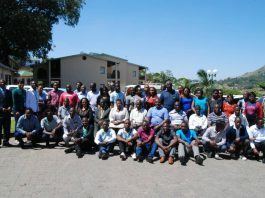 Malawi does not have a multi-purpose laboratory necessary to examine the chemical composition of most of its botanic resources, a development that transpired into little knowledge about the wide variety of botanic life endemic to the country. This, in effect, renders the country vulnerable to theft of its would-be botanic patents as people posing as tourists would easily siphon indigenous knowledge from a friendly but unsuspecting people which may later be patented in their name, leaving Malawi perpetually stuck in the woods of poverty. While people like Prof. James Seyani have tried, through the National Herbarium and Botanic Gardens of Malawi, to do their best, the lack of a state-of-the-art, all encompassing laboratory is hindering efforts to examine all of the country’s botanic resources and deter business-minded visitors from profiteering from the country’s botanic resources. Of course, plans are under way to establish one such laboratory, but it may be a time. 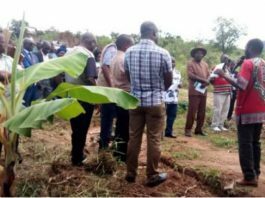 What is needed, in its absence, is the need for Malawians not to publicize indigenous knowledge to prevent it from getting into the wrong hands- people who may end up protecting our own botanic resources using patent laws. Reason: Traditional knowledge is becoming a billion-Dollar phenomenon around the world and needs to be safeguarded. This is true for Malawians who go to such countries as South Africa to sell herbal concoctions and other traditional medicine. 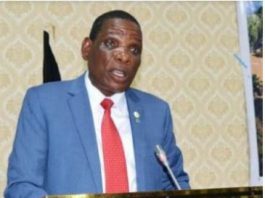 It would become easy for such people to pass out the knit-gritty details pertaining to the prowess of their medicine, in the process exposing Malawi to theft of its invaluable botanical resources. Just such a thing happened in Chipata , Zambia, two years ago. A European national was bewildered by a plant that acted as an anesthetic and was being used by local people when removing teeth using the traditional hand method. Perplexed, he asked the locals how the herb worked, and where it could be found- knowledge he later took back home. He has, since, patented the plant and its chemical components. People, including Zambians, now find their own concoction- now out of their hands and control, anyway- in up market London shops. The use of botanical resources stolen from African countries and, later, registered as protected patents has raised moral questions over the moral responsibility of pharmaceutical companies, who happen to be the major customers and beneficiaries to such fraudulent deals. These companies cough millions of Euros to get the nod to use the stolen patents ,a trend that also leads way to exorbitant drug prices as the pharmaceutical companies seek to off-set some of the costs incurred in production of such products. So, the theft of this knowledge could be disastrous for Malawi, a country- if not the only one in the world- to have no comprehensive analysis of its botanical resources. It is like wishing away your own cash, really; and, then, asking for a third hand to bail you out of biting poverty.